The Fifth Judicial District Commission on Judicial Performance unanimously recommends that Judge Frederick Walker Gannett BE RETAINED. Judge Gannett received his undergraduate degree from Lawrence University, and his law degree from Willamette University. After law school Judge Gannett practiced both criminal and civil law. Judge Gannett was initially appointed to the Eagle County Court bench in 1990. He served in that position until 1994, when he transitioned into private practice focusing primarily on criminal law. He also served as Municipal Court Judge in Basalt and Vail, Colorado. 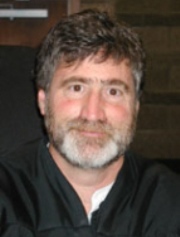 In 2002, Judge Gannett was reappointed to the Eagle County Court bench where he presided until 2006, when he was appointed to the District Court. In addition to his judicial activities Judge Gannett participates in educational outreach activities in the community, particularly related to juvenile issues, and contributes to African related charities. He is a champion of a strong and independent judicial branch, supporting Colorado efforts regarding selection and retention of judges. The Commission reviewed written evaluations of Judge Gannett from attorneys and non-attorneys, his written self-evaluation, a sampling of Judge Gannett’s legal rulings, observed Judge Gannett in the courtroom, and received input from the District Attorney, the Public Defender, law enforcement, and other general members of the public. Ninety-six attorneys were surveyed regarding Judge Gannett. Of those 96 attorneys, 80% recommended retaining Judge Gannett, 12% made no recommendation and 9% recommended Judge Gannett not be retained. Of the 119 non-attorneys who were surveyed 74% recommend retention, 6% had no recommendation, and 21% recommended that Judge Gannett not be retained. (These percentages may not add up to 100% due to rounding.) Appellate Judges gave Judge Gannett an average score of 2.2 compared to the 3.46 average score of all other district judges evaluated statewide during this retention cycle. Judge Gannett’s overall rating is 3.53 on a 4.0 scale. Since the last retention cycle, Judge Gannett has been challenged with handling multiple, significant, large scale construction cases in addition to managing his regular docket. While in many respects Judge Gannett performed admirably under difficult and unique circumstances, the recent past highlighted some areas in which Judge Gannett can improve his own performance. The biggest complaint regarding Judge Gannett is the lack of timeliness with respect to his orders. Though partially related to his workload, case management is an area in which Judge Gannett needs to make improvements. The feedback from the Court of Appeals also indicates an issue with some of his legal opinions. Comments received by the Commission support that Judge Gannett has an excellent courtroom demeanor, however he should also work on building better relationships with all court staff to improve the culture and collegiality of the Eagle County courthouse. The Commission found Judge Gannett to be personable, engaging, empathetic and approachable. He is articulate and intelligent. The Commission commends Judge Gannett for taking responsibility and accountability for his own decisions and believes that recent administrative changes will benefit the District as a whole and Judge Gannett personally.